I'm really good at identifying guns now. And it's all thanks to games. I always tell my girlfriend which submachine gun the security guards are carrying as we enter an airport before our holidays (It's normally an MP5 by the way). But games aren't just about guns. I can identify cars too. And the occasional football team. And I can spell Chinook. Tim thinks he's an expert in city planning thanks to PC gaming. Over the years we've also become really good at clicking on men's heads. I don't think Homefront is going to enlighten my world view. Or Bulletstorm for that matter, but I bet they'll both be fun. I can almost guarantee that Duke Nukem Forever won't teach me anything apart from a naughty words. What's the best thing you've learned from games? You might even find it by clicking more. Eve Online is having a valentine's day sale . Buy your loved one a spaceship. She'll appreciate it. Counterfeit Lugaru has been removed from app store. Wolfire are giving a free copy to anyone who bought the rip-off. Read this great Spy Party blog. 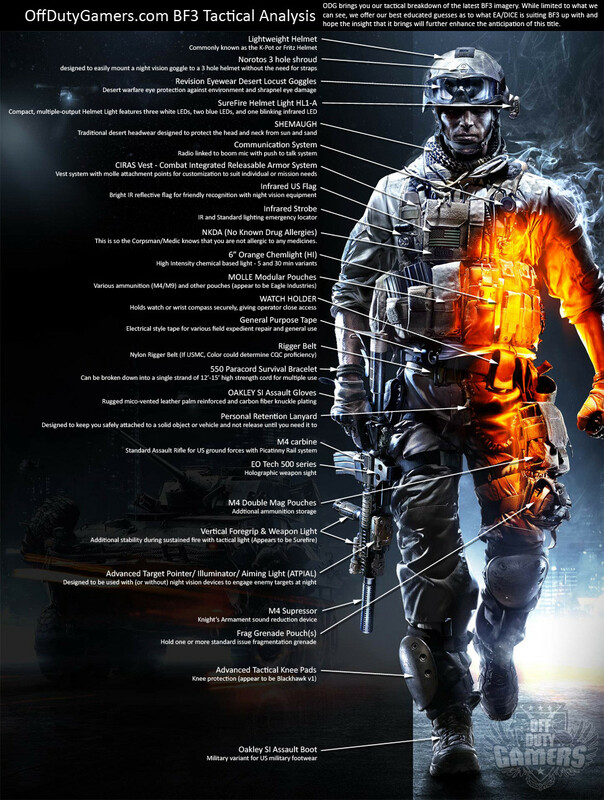 Here's a ridiculous breakdown of everything the Battlefield 3 posterboy is wearing. Bioware say that WoW established MMO standards. Why PCG doesn't do unboxings . The happiest Banshee harassment you'll see today. In office news: we've come to suspect that the PC Gamer Steam account is HAUNTED. At midnight almost every night a mysterious stranger appears and hunts down zombies. The first five people to message the spectre and get provide evidence of a response wins a copy of Metro 2033. Alternatively, join the game and ask him if he's a poltergeist. A screenshot linked down there would help. Have a great evening and don't forget to tell us the greatest thing you've learned from games in the comments.